Ever since I was very young, mirrors have always held a sort of fascination for me. And why shouldn't they? They are among the only ways we can see ourselves as others see us, and they offer us a glimpse into infinity when placed together. But it was always something "eery" about the mirror that drew my attention to it, and this eeriness did me the great service of showing me something important about my perception of the world. When I look into a mirror, I immediately become unsettled. I suddenly get an impression of how transcendently odd it is that I exist at all, that I am a perceiving being looking through a pair of eyes at some piece of shiny glass. I feel an incredible sense of how unlikely it is that I am a bag of meat and water rushing around a flaming ball of gas, and I wonder why there is so much of this needless complication in the world. But I ramble. If I were to use another analogy, think of watching a character on a perpetually-running television show. It could be a wonderful character, worthy of praise and esteem, but you would naturally recoil in disbelief if someone told you that that character was you. But that, of course, is just what looking into a mirror feels like. I feel like I am a transcendent observer, and when a mirror reminds me that I exist in a specific space and time, it feels odd and unnatural. But why is this? Could there be a psychological reason why I feel fundamentally disconnected with the contingent world? I believe there is, and I have a theory to that effect. The key to seeing how I perceive the world involves examining how I think of my self in relation to others. A neurotypical person perceives his or herself as one object among many, and thus the best model for their perception of humanity would be one where people act like atoms, which though they interact, are most definitely separate and distinct from each other. In other words, the universe according to the non-aspie is one where everyone has something which is distinctly "theirs", something which fundamentally distinguishes them from all others in the world. My universe, on the other hand, is quite different. If the neurotypical person thinks of human beings as a bunch of discrete and separate particles, I tend to think of them as leaves on an enormous and ever-branching tree. What, then, is the trunk? Why, only myself! I tend to think of every person, place, or thing in fundamentally the the same way which I think about myself, and thus do not see a strong difference between myself and the various components of the world. Do I therefore inflate my ego to the edge of extremity? Quite the opposite; I have no sense of self whatsoever. The neurotypical will almost always have a strong sense of personal identity, a feeling which gives them a certain sense of "groundedness" in themselves as a person distinct from other people. For me, this feeling is curiously absent; I see no fundamental distinction between myself and others, and I only seem to do so because my language and society forces me in that direction. You see, our society takes it for granted that the "I", the "me", the "you", and the "we" exist, as we use these words every day without thought. But I will venture to say that if a neurotypical peeked into my mind (or vice versa) they would discover that it has a greatly differing conception of what these terms mean. To give an additional example of this principe, sometimes I find myself unwittingly saying things in a conversation for which the other person is normally responsible. You see, if it comes to the point in a verbal exchange where the other person should say "thank you", I will often turn the tables and thank them. This occurs because I do not perceive two distinct "parts" in this conversation, but instead see it as continuum which, if anything, merely fluctuates from side-to-side. In other words, I do not think deep-down that any one person should say "thank you", but rather that "thank you" should be said. I hypothesize that this is true not just for me, but for other aspies as well. I know of at least one other case in which this is true, but I invite any aspie readers to comment (anonymously, if you wish) about their experiences with these kinds of feelings. Is this an "aspie thing"? Or am I just crazy? I'm eager to find out. I want to tell you a story. This tale, although it may seem strange, tells of how I used an experiment to finally begin to overcome the struggles I have had since childhood, and how I finally started to see the into the souls of others. I am not perfect; I still have decades of progress ahead of me, and I in no way claim to be "done" with my struggles. But I have found great peace which has heretofore remained absent, and I want to tell you how I stumbled upon it. Cut to the 27th day of last May. For some reason, that night I became acutely aware of my life as someone fundamentally isolated from others. I realized deep down that I have a disability which prevented me from connecting to anyone without great effort, and that I did not see that connection on the horizon anywhere in the future. So, I wept. Real grief overcame me, and when I recovered from the initial shock, I began to chat with a friend (another aspie) on Facebook about the issue. I asked him if he ever felt cut-off from others, and he told me to my surprise that he used to, but that he didn't feel that way anymore. I asked him what had changed, and he didn't really know, but I began to assemble the pieces in my head: my friend overcame these feelings in high school, when he started exploring the various facets of role-playing. Whether in acting, RPGs, or other places, I realized that his attempts to step into the skin of fictional character directly corresponded to his renewed ability to connect. And why shouldn't it? After all, isn't that what empathy is at its core? So, I decided to experiment. Though the details are very personal and private, I will say that I began to write creatively, and to use a sort of fictional "avatar" in it to embody all the qualities I desired in myself (empathy, kindness, emotional intelligence, and virtue). I also greatly toned down my self-criticism, and I used this creative writing to pour out my inner emotions and subconscious thoughts. The results were surprising - I found insights in it that I did not consciously intend, but yet were very applicable to my life at that moment. This process was amazing - I learned more about myself than ever because of it, and I slowly became more self-conscious and self-aware. It was around this point in time that my family began a trip to France, and on the plane ride there a new development occurred. I began again to do this creative writing, but this time it was more difficult, and it was like a wall was erected between me and further progress. But I persisted, and I finally broke through. My heart then began to glow within me, and I started to feel great relief, like I had never felt before. For the next hour, I felt so much peace, love, and comfort that it was overwhelming - my heart was bursting, and I experienced what my religion calls a "burning in the bosom". If I could put it differently, it felt like a great weight which my heart had held for years was suddenly lifted, and like I was free. As the plane landed and my family began to explore the streets of Paris, more developments occurred. Now, I had always been a toe-walker, and you can imagine my surprise when my parents pointed out to me that I was walking heel-toe! I didn't even think about it, and yet this symptom of Asperger's simply disappeared. And as of today, it is still gone. Other things slowly started to change, too - my posture straightened, my handwriting greatly improved, and I began to eat and walk more slowly and deliberately. As if the painting was screaming to me, I suddenly felt a strong sense of desperation, dejection, and despair radiate to me from the canvas. I looked into Vincent's wide-open eyes, and for some reason I suddenly had a real sense of what it was like to be him - I felt pain and depression emanate from his gaze, and I knew that he felt like all hope was gone, and that his eyes silently pleaded for help. This was not mere projection. When I entered the museum I was as chipper as possible, but this magnificent painting made me do a complete U-turn into Van Gogh's humbling despair. Still, I too had felt his feelings (perhaps in lesser degrees) but in that moment it didn't matter - Vincent's pain and my pain flowed together across the decades, and they seemed to become one. Again, I began to weep. As if I was hit by a cargo train of glorious emotion, Vincent's pain became transformed into a new feeling - pure joy. The sunlight streaming in from the ceiling filled the room like palpable glory, and everything began to shine with radiant light. The colors became more vivid, the sounds more distinct, and everything, in short, became new. As I continued to shed tears, I looked around. 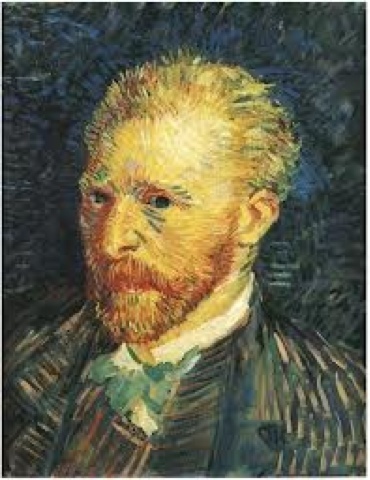 The connection I felt with Vincent Van Gogh I began to feel with everyone I could see - I could see the boredness of the children, the raptness of the art fans, and the longsuffering of the unhappy families. I felt it all, and pain, joy, and love mingled together into a splendor of emotion like nothing I had ever felt. Other things began to improve upon my return home - I read and thought more quickly, I became more confident in social situations, and amazingly, I naturally made eye contact for the majority of the time. In fact, all these things continue to this very day. Now, I acknowledge that my success my wane over time, but I have had peaks and troughs of progress in the past, and the peaks (as perhaps this one will be) always overcome the troughs. But it makes me wonder: why? 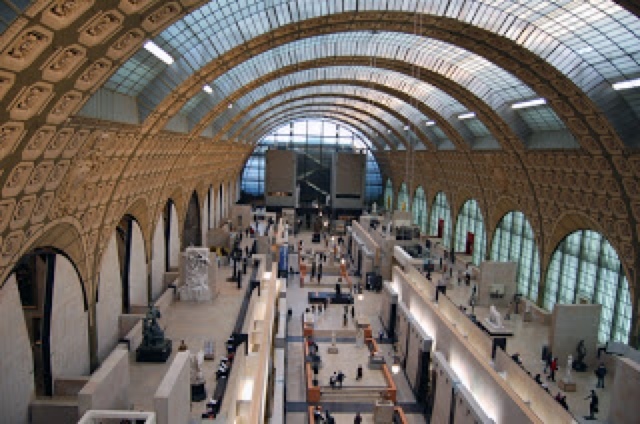 Nothing I had done over the two decades of my life had ever given me as much sheer connection as I started feeling in France, and so the only logical conclusion is that it has something to do with my experiment. Why did it happen? Well, I have a theory: I have noticed that I do more activities using a "manual transmission" than neurotypicals. While most people do things like socialization and connection on autopilot, I need to do them with often-exhausting conscious effort. Thus, I think my experiment worked because it acted as practice for this subconscious action I found so difficult. But more than that, the fact that my fictional "avatar" embodied all the qualities I desired means that it kindled the specific part of my dormant subconscious which I needed. Rather, my capacity for connection lay buried, but writing vicariously as a figure who already possessed it allowed me to unearth it in myself. Like I said, I have not fixed all my problems - I still obsess, and I still don't make eye contact as much as others. But I have gone leaps and bounds ahead of any progress I have made in the past, and I feel it would be irresponsible and selfish of me if I didn't try to share my joy with other aspies. So if you have Asperger's, I invite you to consider emulating my project. I do not mean in any way to impose my beliefs upon you, but if you've reached the end of your rope as far as hope for connection is concerned, the desire to help in me urges you to at least try it out. After all, the worst that could happen is that it doesn't work, and nothing would be lost. 1. Do it without any self-criticism. Pour your emotions and thoughts into whatever artistic medium you choose, and do it without thinking of how good it is or if other people would like it. In fact, don't think about it at all - just create. 2. Somehow embody in your work the qualities which you lack, but desire to possess. Thus, if you do the emotional outpouring of #1, reign it in only as far as to point it in the direction of those traits. This will seem awkward at first, but if you're like me, it will become much more natural as you progress. And hopefully, the traits will shine through in your everyday life. I make no guarantee that this will work. But it has worked for me, and if there's even the slightest chance that it will help someone else, I am morally obligated to bring it to their attention. That's all for now. If you're at all interested to learn the specific details of my experiment, email me and we'll talk. If not, have a wonderfully hope-filled day! Jorge Luis Borges once wrote a short story called The Library of Babel, about a universe made up entirely of ever-ascending hexagonal rooms full of books. He goes on over the course of the work to explain that within this infinite library, there exists at least one book containing each possible combination of characters (given a certain number of pages). This means that somewhere within the depths of this place there is a book which validates you, which explains everything you ever wanted to know about yourself, your relationships with family and friends, or even your future. Now imagine knowing that this information was out there, that you could find a book which would affirm and console you beyond measure - you would naturally set out on a quest to find whatever this book is. But what if you were blind? What if, like Borges himself, you lacked the ability to read the books which populated your world? Human beings live in a world of emotional connection, where more than seventy percent of communication happens independent of words, and where one typically has the ability to connect with another by merely looking them in the eyes. This is a veritable library of information, available to all who wish to peruse its contents. That is, it is there to all except the emotionally blind. To have Asperger's Syndrome is to be blind in a library or an art gallery, or to be deaf at a symphony or a rock concert. It is to know fully well that everyone else can connect almost magically with each other, but that you are utterly alone in your skin, destined to be forever solitary as you walk along the corridors of your mind. It is to know that you are cut off from the rest of the world, and that your efforts to connect with it will almost always fail. I have Asperger's, and I know this pain all too well. But I have been uniquely blessed with a knack for introspective thought, and so I have had the unique ability to describe the subjective aspect of my condition in rich detail for anyone who wanted to know. And through the self-spelunking this introspection entails, I have discovered amazing insights about my condition which have helped me immensely. I have searched and prayed for a way to help those afflicted with my condition, so that I can let them know what glorious hope shines through the limitations which we have been given as aspies. So if you suffer from AS, I now speak to you directly: there is hope. Though a wall may seem to cut you off from the rest of the world, know that there are ways to pass through it, even if they differ from methods of a neurotypical. Know that it is completely possible to read the books which inhabit the library of the human race, even if you must learn to see with different eyes. I have begun to see with them myself, and while I do not boast, I can testify that you are not inherently destined to be forever blind. This is The Introspective Aspie; in this blog I will attempt to share with you the insights I have garnered from my self-exploration, in hopes that they will help the aspie in their life. I acknowledge that I only speak from my experience, (or those of close aspie friends) and so they may not apply to you in particular. But I believe that if I help a single soul find peace, I will have done something worthwhile, and the blog will have achieved its goal. This blog is my attempt to share the insights I have garnered about myself as an aspie (one who has Asperger's Syndrome) through self-exploration and introspection. My hope is that, by sharing them with the world, I can help at least one person in overcoming their trials with AS. If I can do this, I will be fulfilled.